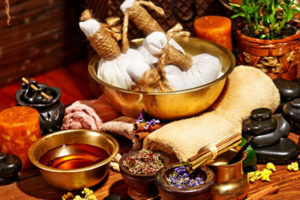 Everyday 2 to 2.5 hours Customized Panchakarma Wellness Treatments (includes oils for treatments), that may include Abhyanga Oil Massage, Steam therapy and DAILY Shirodhara (3rd eye -bliss therapy) PLUS FREE daily ADD ON therapy for specific health condition. Therapies will be custom-tailored to your current state of health, wellness and constitution. An orientation a day before your program begins on next day.